Brewers Limited - MEB Design Ltd.
MEB Design Architects were appointed for a project located in the heart of the busy commuter town of Redhill, Surrey. 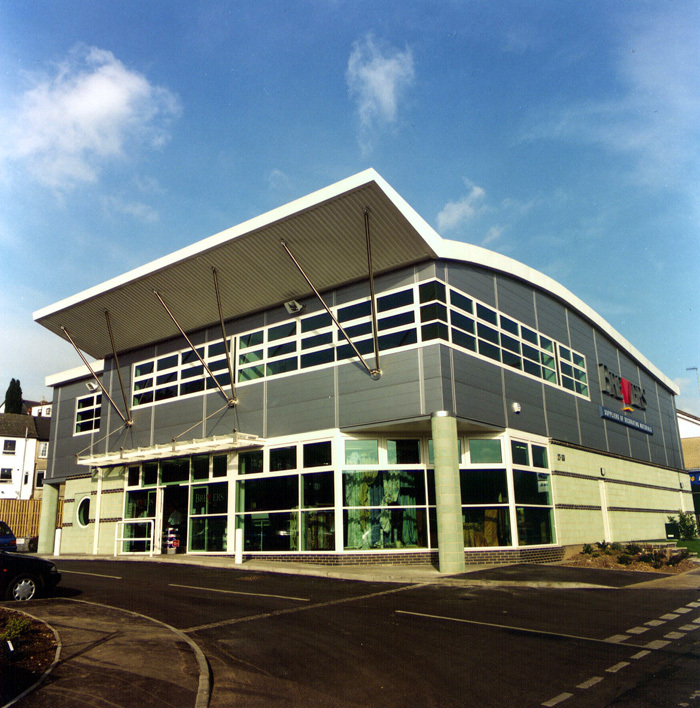 The new retail unit and small paint warehouse constructed for Brewers Limited provides a large open trade & retail decorators merchant contained within a contemporary external envelope of glazed facades combined with solid masonry panels and areas of profiled metal cladding at first floor level. 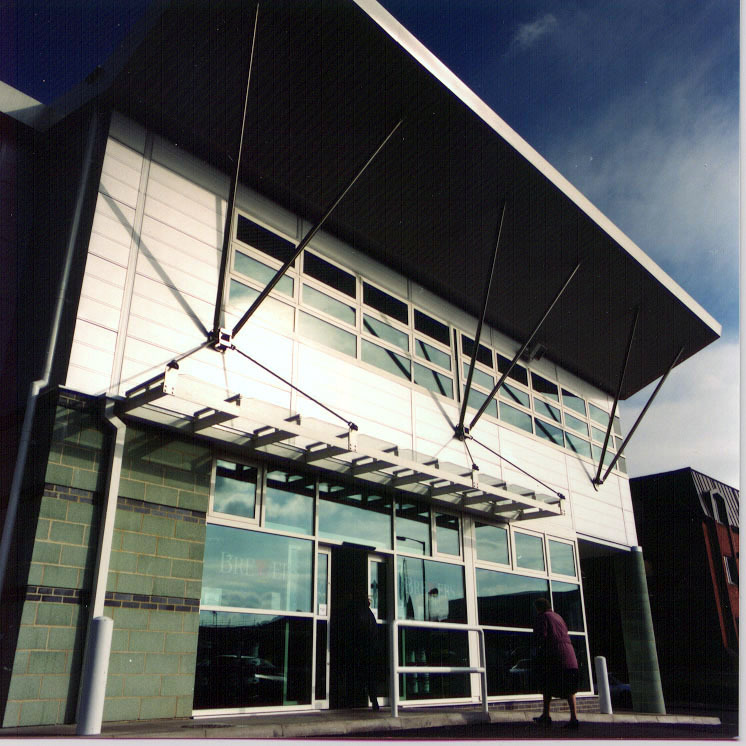 This first floor level contained under a sweeping barrel roof additional offices and staff facilities for the company. 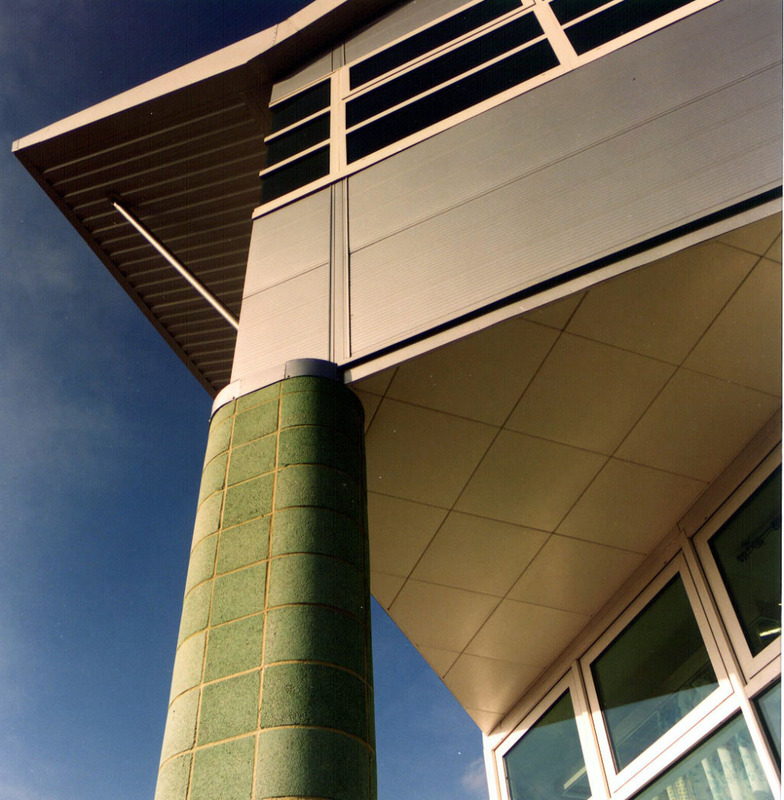 The overall composition provides an easily recognisable and striking building amongst the immediate context of traditional terraced retail outlets.